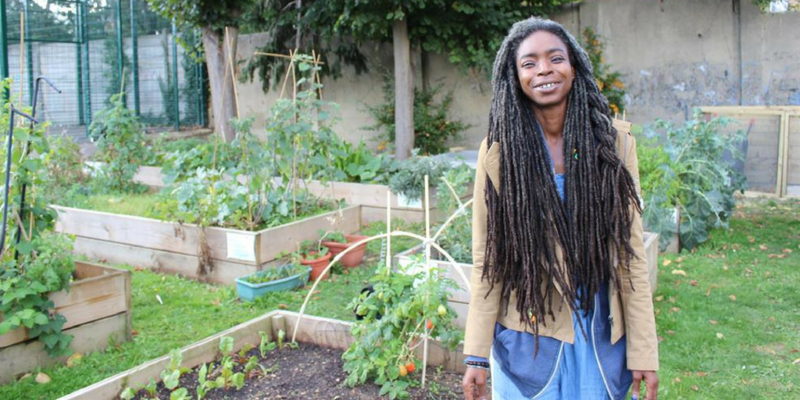 In 2016 Davina set out to create a healthy juice academy with a pop-up market stall that would encourage healthy eating and develop the entrepreneurial skills of the young people of Brent. Her ambition was to change the lives of 120 young people in the first twelve months and teach them how to grow and sell their own produce. Davina’s campaign attracted support from the local council, the media and excitingly Sadiq Khan who pledged £20,000 to her project as part of the Mayor of London’s Crowdfunding Programme. Through the Mayor’s crowdfunding programme Davina has become part of a much bigger network of civic entrepreneurs making changes in their communities. We joined her just as her project hit the fundraising target and in between hugs and high fives, asked her what she had learnt from her campaign. Spacehive: So, what inspired you to run a crowdfunding campaign in the first place? Davina: Because of my illness, lymphedema, you question yourself and your ability to do stuff. The reason I’m doing this is that not everyone’s made for 9-to-5. This is one of the biggest things I’ve ever actually done! SH: Tell us, what do you think are the benefits of this approach to fundraising? D: The benefit is everybody working together to get to one goal. I think the more people realise this, the more people should do it! SH: What advice would you give future project creators? D: The best advice I would give right now would be to get yourself the right support network so you can discuss your idea and different ways of promoting and marketing. It’s very hard for one person to do it by themselves so you do need a support network but don’t give up! SP: What skills have you picked up? D: Marketing, definitely. My marketing skills have been tested along with action planning and actually writing proposals and business plans. From this I’ve really become a better pitcher, I’m now able to pitch an idea fluently and I’m much more confident. I believe and have faith in my own idea. SP: How should communities be engaging with Spacehive? D: I think now, more change-makers need to stand up, get active and make a difference! Read more about Davina’s project: www.spacehive.com/PJMP and find out how you can create your own project as part of the Mayor of London’s Crowdfunding programme on Spacehive here.